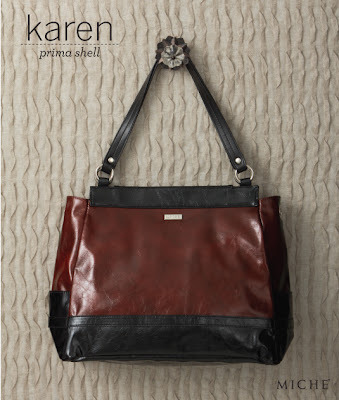 Rich ruby-red patterned faux leather material juxtaposed with black accents gives the Miche's Karen Shell for Prima Bags a truly striking look that is warm yet urbane. It's the perfect Shell to take along on that wintry weekend mountain getaway or just to the mall for some serious shopping. Whatever your plans, you'll be styling with Karen on your arm.